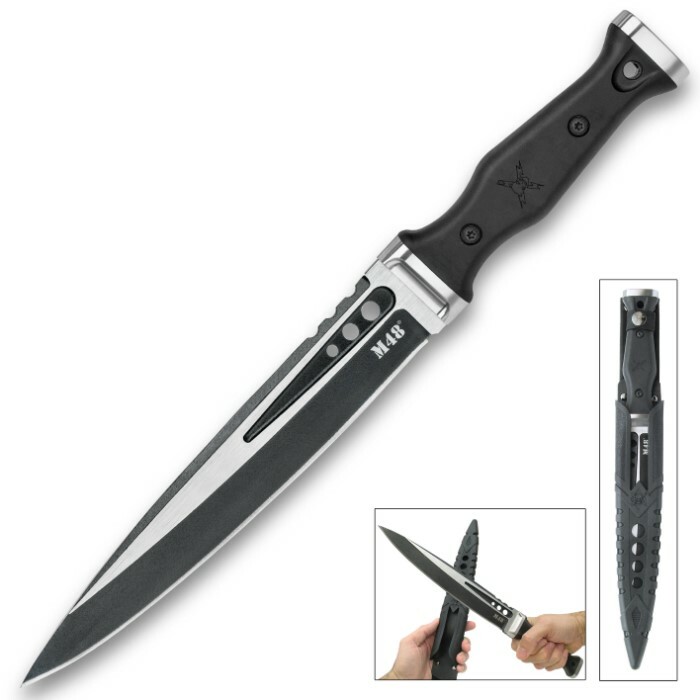 M48 Highland Scottish Dirk With Sheath - 2Cr13 Stainless Steel Blade, Black Oxide Coated, TPR Handle, Stainless Steel Pommel And Guard, Lanyard Hole - Length 15 1/8” | BUDK.com - Knives & Swords At The Lowest Prices! 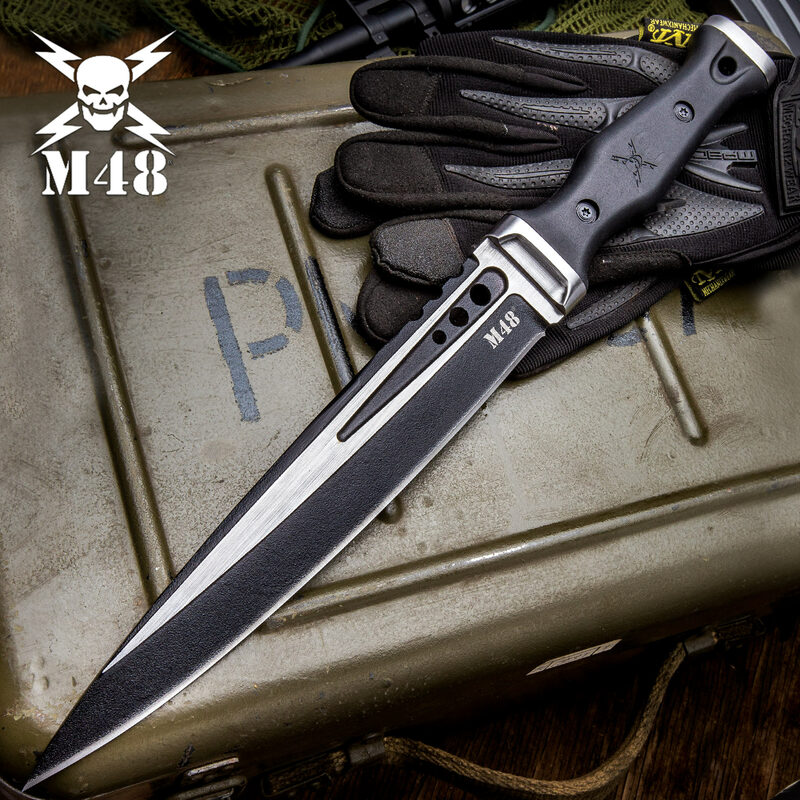 The M48 Highland Scottish Dirk takes the traditional Scottish long dagger and gives it a sleek, modern look. It boasts an extraordinary tactical feel, backed up by a 9 1/2" 2Cr13 stainless steel blade with a nonreflective black oxide coating and a satin surface grind. 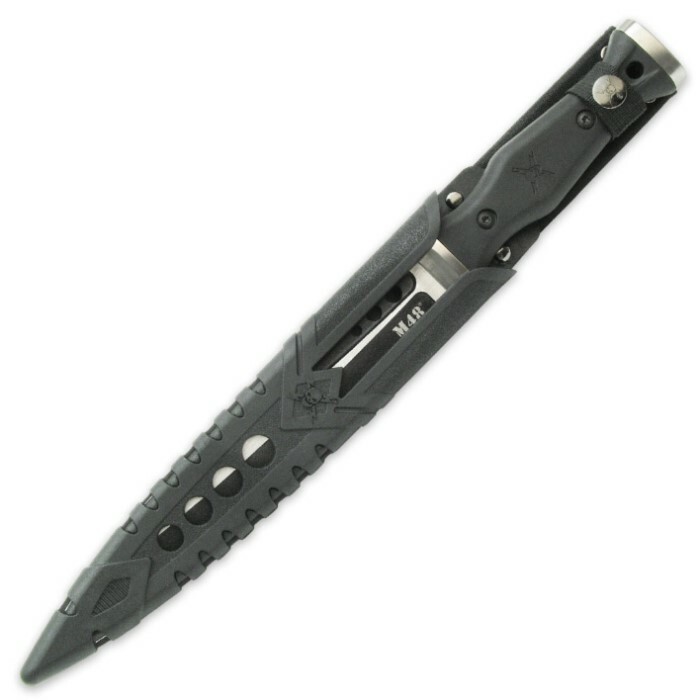 The blade is accented with three through-holes that lead up to the stainless steel guard. 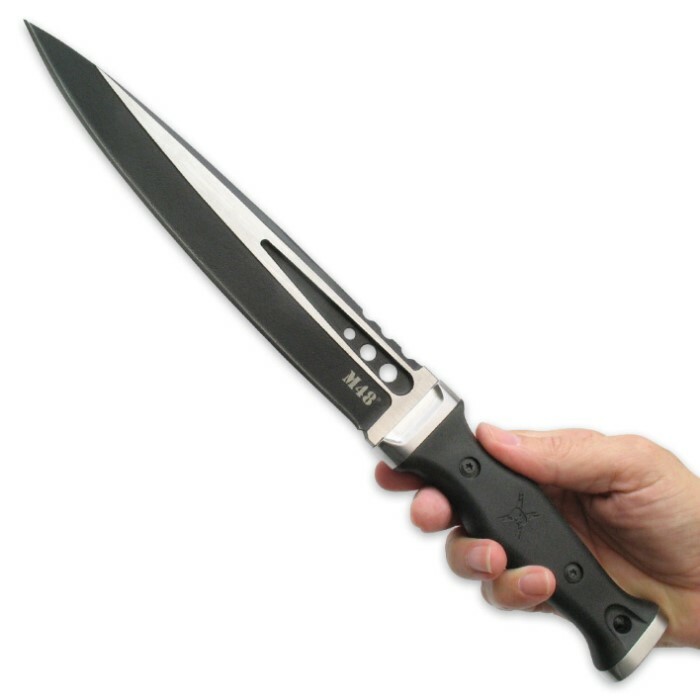 The handle is black TPR, ergonomically contoured to fit comfortably in your hand. Transport is a breeze with the rugged polypropylene belt sheath, which features a double-layered strap to keep the Dirk anchored firmly in place. Just strap the sheath to your belt, and you’re ready to go! Tomahawk Crusader Cruciform Short Sword With Sheath - Stainless Steel Blade, Metal Handle And Guard, Historically Inspired - Length 14 1/2"